The story of Severobaykalsk is closely related to the history of the BAM or Baikal Amur Mainline. The town was founded as a logistics centre and a central starting point for the railway project. 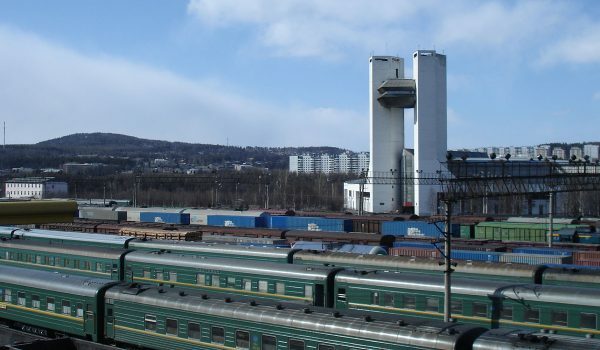 To the west the railway line was developed to Bratsk and to the east to Tynda. At this time the only settlement in the area was the village Nizhneangarsk, located at the edge of a swampy plain at the northern tip of the lake. It was decided to develop a new town 20km (12mi) southwest of Nizhneangarsk on a plateau above the lake, thus allowing further development in the future. Originally it was planned to increase the population of Severobaykalsk to 140,000 people. The first Komsomol volunteers and other workers arrived in 1974 and founded a work camp that would later become the town of Severobaykalsk. The camp was initially named New Year (Russian: Новогодний, transliteration: Novogodniy) and consisted of tents, wooden shacks and railway cars. The camp grew rapidly with the development of the railway, and Severobaykalsk was eventually granted town status in 1980. Since completion of the BAM the town has been in decline, with many projects cancelled during the Perestroika period. The population reached a high with an estimated 35,000 inhabitants in the 1980s but subsequently declined. As the town was founded mostly by Komsomol volunteers, the population is relatively young. 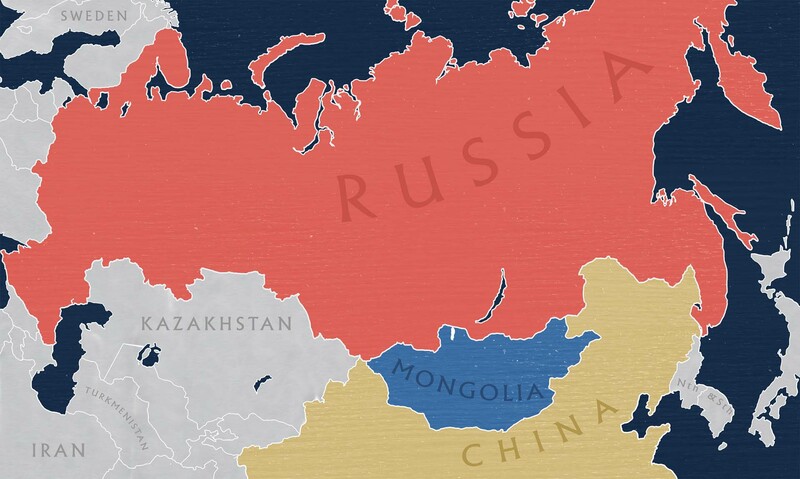 Ninety percent are Russian Orthodox and ten percent are Buryats. Like most Soviet-planned cities, the town centre is dominated by five to six floor high rise buildings made of prefabricated concrete panels. Because the northern region of Lake Baikal is in an seismically active region the standard design of the high rise buildings has been adapted to ensure greater resistance to earthquakes. The suburbs are dominated by shacks that trace back to the early years when Severobaykalsk was a work camp. Some of these shacks are made of old railway cars. 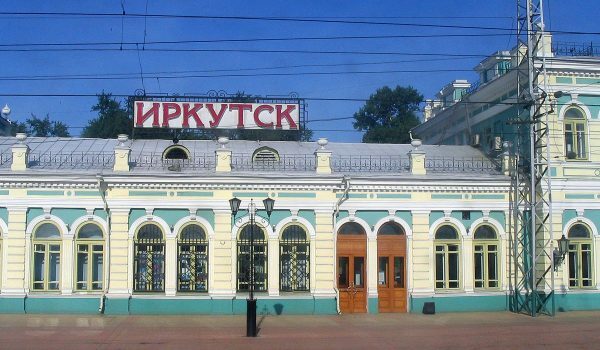 The main avenue of Severobaykalsk is Leningradskiy Prospect, which starts at the railway station. The railway station is shaped similar to a sail and was designed by architects from Leningrad. In front of the railway station is a monument to volunteers and workers from Leningrad (present-day St Petersburg) who built the town. North of the railway station, along Leningradskiy Prospect is the main square, where the town administration and the Palace of Culture of the railway workers are located. Severobaykalsk also has a church and a museum dedicated to the history of the Baikal Amur Mainline.